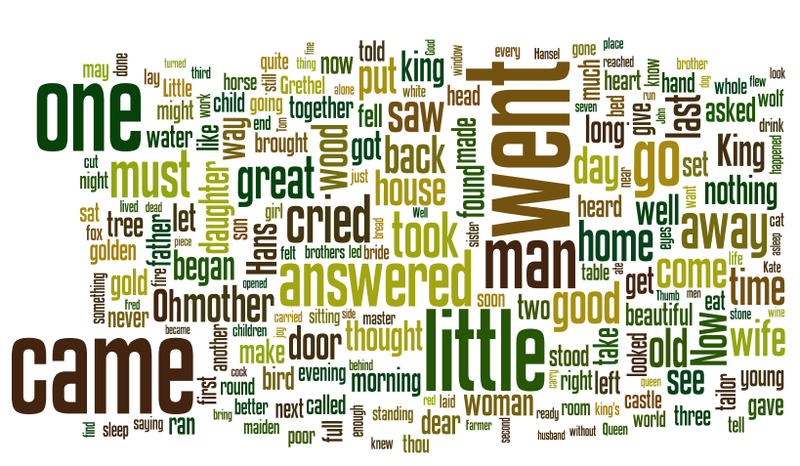 Although the discussion boards just seem maddeningly clunky to me, I'm trying to find a few every day to participate in - and one I found this morning was about doing text analysis of the Brothers Grimm, which is a cool idea, and that is a feasible strategy for so many texts in this course, since they are available in digitized versions! 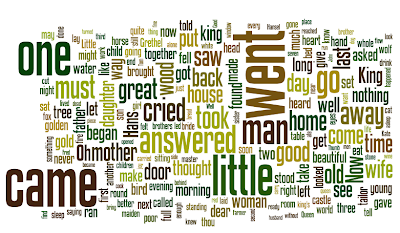 Anyway, that inspired me to make a Wordle of the Brothers Grimm book we are reading, and the results show visibly just how simple and basic the storytelling vocabulary is! Click here for larger view.